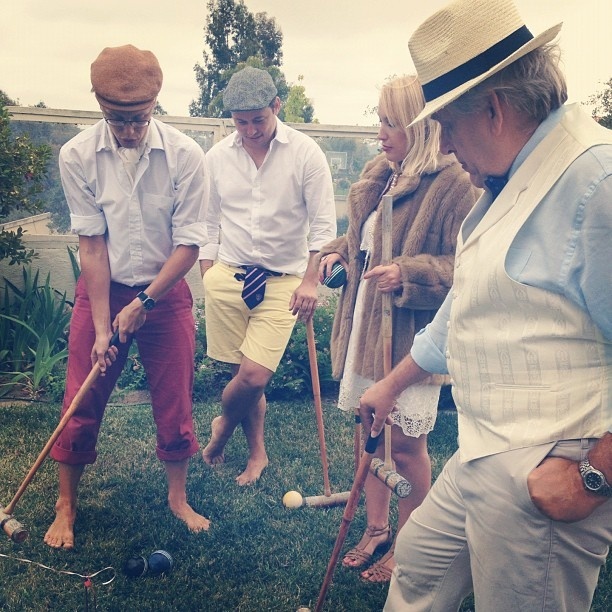 The Jazz Era Sunday Social is coming up this Sunday! 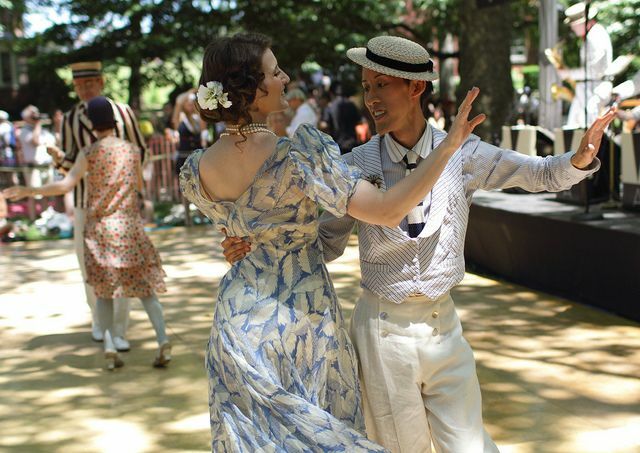 An afternoon of jazz and lawn games, dancing and of course bicycling and picnicing, presented by the Art Deco Society of Dallas and Dallas Heritage Village. If you know the annual Lawn Party on Governor’s Island in New York City, you have an inkling of what this will be like. 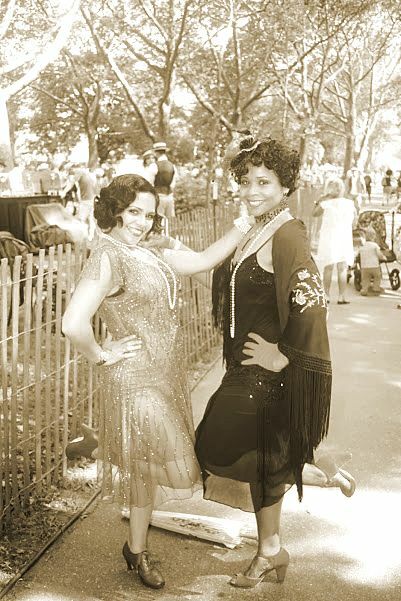 The Singapore Slingers will be performing, and Elaine Hewlett from the Rhythm Room will be teaching us some swingin moves from the 1920s. We’ll check out the Model A Fords, play some yard games, and eat some Carnival Barker’s ice cream. 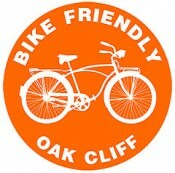 We’ll be riding from Klyde Warren Park, meeting at 11:30am and heading to Heritage Village at 12 noon. Bring $10, and be ready for the most relaxing and exciting Sunday afternoon you can remember. There’s a costume contest at 2:30pm – lots of great inspiration on the Sunday Social pinterest, and lots of great links to local shops on the event’s facebook page. 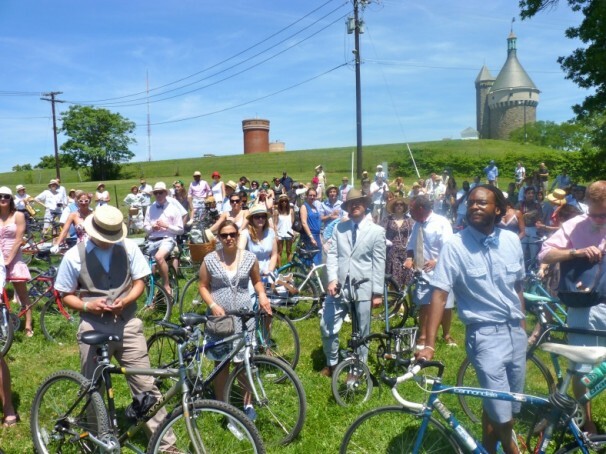 You could even wear your great outfit again to the Seer Sucker Picnic Ride next month! Admission is $10, and children under 12 are free so bring the kids! And of course you can get advance tickets. What could be more fun on a gorgeous spring day! ← #DPDSafeCycle to Help Make Dallas Safer to Cycle!